Summer is coming up fast, and we have been doing activities during quiet time. My mom sent us some handwriting sheets, and I have been giving them cut and paste projects, to keep little idle hands busy and out of trouble. So one random Monday I thought it would be fun to make play-doh and have that on hand to play with during the baby’s nap. She misses all the real fun! 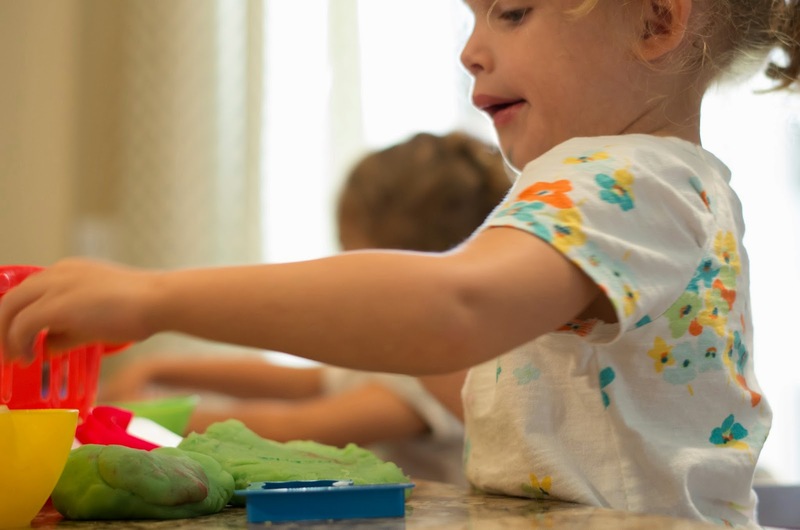 This is our second time making play-doh and the homemade seems to last longer than the store bought. At least in this house. Last time we used Kool-aid, but this time I spotted some Jello boxes that have been in the pantry probably for a year. 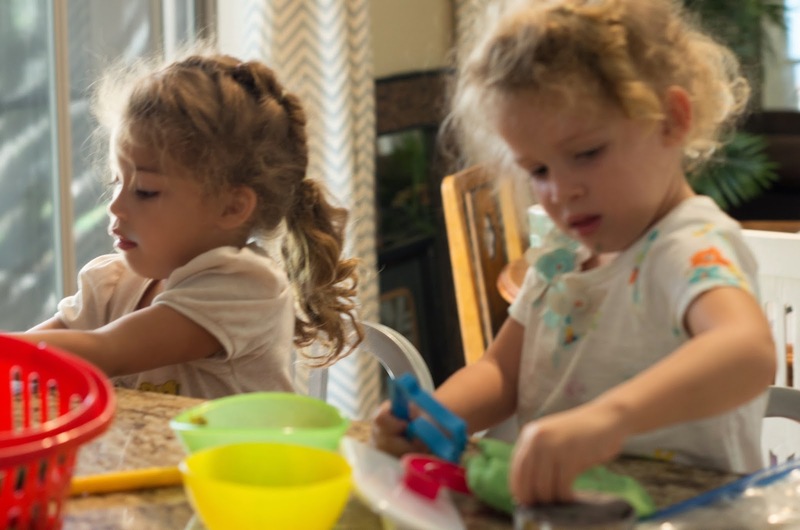 (I should also mention I cleaned out the pantry this weekend…maybe that fueled the play-doh project). I knew that Jello would probably work just as well so I hit up Pinterest and found a recipe. Here is the recipe we used and all ingredients were already in the pantry! Thank you Teaching Mama. 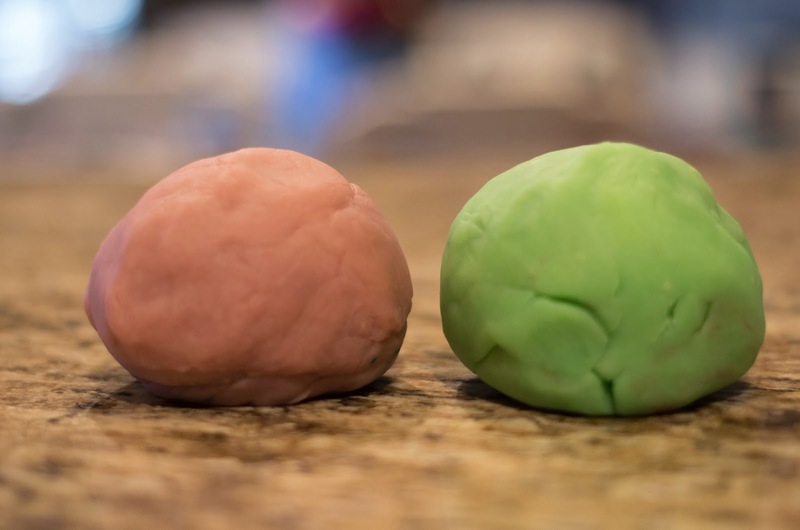 I really like the homemade play-doh it seems to get less crumbly and because of the Jello it smells pretty good. The kids liked helping and they really like playing with it, of course! They played with it for 2 hours!! Hope you try it out, enjoy!